The solar-powered Federation of Korean Industries Tower is now complete in Seoul – and it has one of the world’s most efficient solar facades. 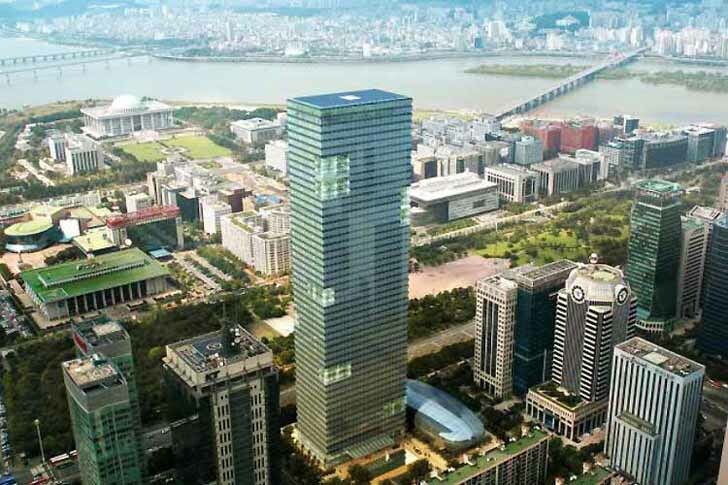 Adrian Smith + Gordon Architecture (AS+GG) designed the 240 meter high-rise with a self-regulating external skin that not only collects energy through photovoltaic panels, but also reduces internal heating and cooling loads. A lamp made from a washing machine drum, a stool made from scrap wood; designer Willem Heeffer spots the design potential in everyday waste objects and sets out to give them a stylish new purpose. Heeffer recently completed a beautiful new office for Mandala, a Helsinki-based travel agent and tour operator that offers a wide range of active holidays and adventure tours around the world. 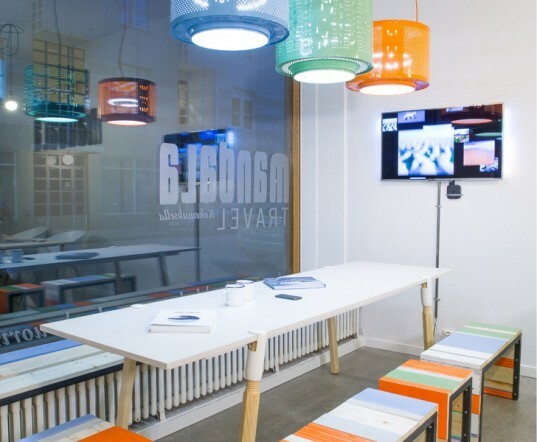 A long plywood table in front of the window is lit by upcycled drum lamps that are powder coated in the travel agency’s signature colors. The table’s clamp-on legs makes it easy to ship, store, and assemble at various trade shows. See Floorplans for the Apartments on HBO’s Girls – How Does Your Pad Stack Up?